The new year is off to a cold start, with hundreds of school delays and closings across the region. How has this impacted your first week back to school and work after the holidays? Tell us your story or send us other tips and feedback: [email protected] or 724-850-2867. Every Friday, the first-graders spend a few minutes with a good book and read by flashlight. Walker says giving students the freedom to choose a comfortable spot in the room during the activity–at their desks, under a table or snuggled in a book boat–motivates them to focus. Here are the education stories of 2017 that stuck with TribLIVE Education Team reporters. Look for updates as we follow these stories into 2018. Have an angle you think we should explore? Tell us: [email protected] or 724-850-2867. Numerous studies have shown that preschool preparation is key to future success in a student’s academic career and beyond. While some school districts—like Derry Area in Westmoreland County—are finding ways to support their youngest learners,other parts of Allegheny and Westmoreland Counties still lack access to quality preschool. And in the City of Pittsburgh, Mayor Bill Peduto has plans for implementing universal pre-kindergarten in city schools. The Centers for Disease Control has recommended later start times for schools since 2014. In the last few months, an increasing number of schools in the Greater Pittsburgh area—including those with start times as early as 7 a.m.—have started to take another look at that research. 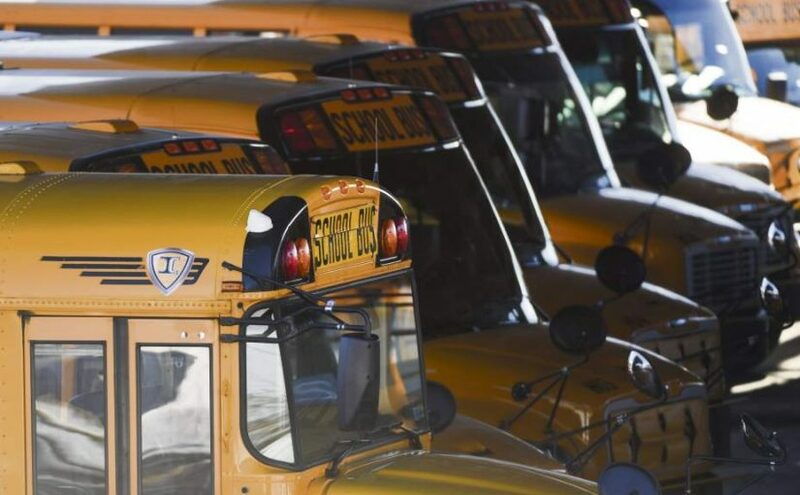 Several districts, including Hampton and North Allegheny, are expected to move forward with reviewing policies in January. At least five districts in Westmoreland and Allegheny counties experienced or investigated rumors of violent threats targeting students or school buildings in the first seven weeks of the 2017-18 school year. Though administrators and law enforcement do their best to keep students safe, challenges like social media can make it difficult to make a call on whether to close schools or increase security, and how to communicate concerns or threats to community members. Meanwhile, State Sen. Don White (R-Indiana) is advocating for legislation that would allow teachers to carry concealed firearms in schools. This, he said, would give school districts more ways to keep students safe. The bill has been sitting in the House Education Committee since June 2017. Pittsburgh Public Schools became the first school district in Pennsylvania to prohibit principals from suspending students in second grade or younger in December 2017. Effective next September, the out-of-school suspension ban will apply only to students in preschool through second grade cited for nonviolent, “minor disciplinary infractions,” such as repeatedly showing up late, violating the school’s dress code or disrupting class. The Pennsylvania Department of Education released the proposed the new state plan for education in August, but it has yet to be approved by the federal Department of Education. Long-term goals under the new plan include reducing the number of students who fail to graduate, increasing the number of students who achieve proficiency on PSSA and Keystone Exams and supporting English Language Learners in growth towards achieving English proficiency. The state Department of Education also announced the development of the Future Ready PA Index, a new school report card that measures academic growth, school climate, graduation rates and readiness for opportunities after high school. The proposed tool would not give schools a letter grade or a numerical score. Changes to the PSSA exam under the new plan could make the testing period shorter in 2018. While the testing overhaul received high marks from some parents and educators, others say the effect is likely to be limited. The 60+CAP program at California University of Pennsylvania offers free tuition to any Pennsylvania resident 60 or older, allowing some older adults to sharpen their job skills in a rapidly changing economy. Though the Post-9/11 GI Bill has helped some veterans at local colleges and universities continue their educations, the program has become a ‘cash cow’ for some Pennsylvania schools. Pittsburgh’s water has a lead problem. The city’s youngest residents are especially vulnerable to the neurotoxin, which can damage the brain and lead to development, learning, hearing and speech problems. Locating the source of the lead can be difficult. Last month, Pittsburgh Water and Sewer Authority told the Tribune-Review it will start using Allegheny County Health Department data to prioritize lead line replacements at homes with children. But the depth of lead problems at school buildings across the Greater Pittsburgh region is still unclear. Pittsburgh is one of many cities across the countries interested in scoring the Amazon HQ2 bid, which promises to bring 50,000 jobs and $5 billion in investment to the region. Among Pittsburgh’s biggest advantages is the city’s large number of university graduates, officials have said. We’ll be watching to see how Pittsburgh and other cities like Detroit, which touted proximity to Carnegie Mellon University in its pitch, fare. But even if Pittsburgh doesn’t win the bid, the city’s interest in attracting tech companies is likely to have an impact in K-12 and higher education as schools strive to prepare students for jobs in STEM—science, technology, engineering and math—fields. Demonstrators turned out to lawmakers’ offices in Pittsburgh and D.C. following the Trump administration’s decision to end the Deferred Action for childhood Arrivals Program, known as DACA, in September. Calls to preserve the program, which grants protection to individuals who arrived in the country as children and do not have legal status, also came from local leaders in higher education. According to U.S. Citizen and Immigration Services, Pennsylvania is home to 5,889 DACA recipients. The program was started in 2012 under the Obama administration, but never offered participants any clear path to citizenship. Congress has yet to act on a solution.